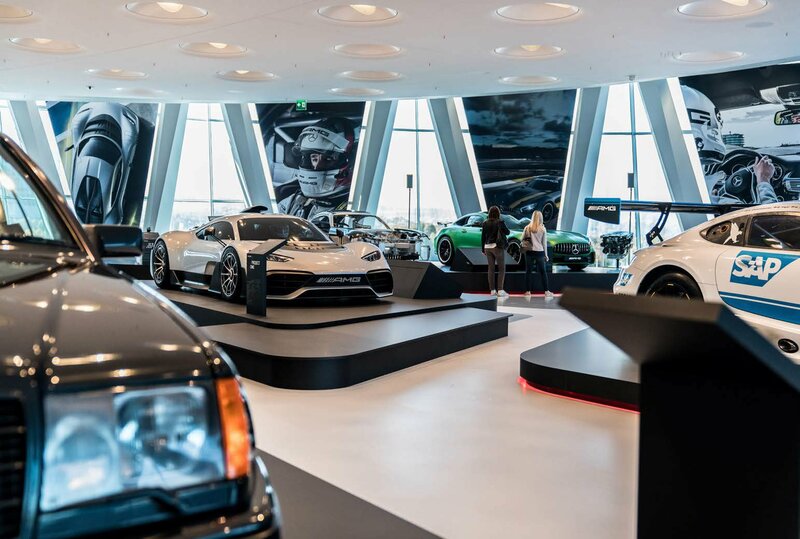 The Ring°Boulevard at the Nürburgring has always been a popular destination for all fans of motor sports and the unique experience of driving. 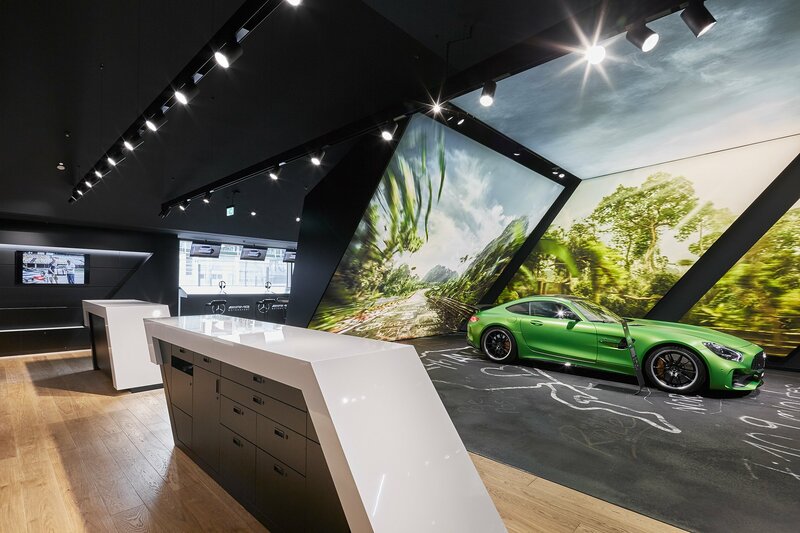 Mercedes-Benz AMG didn’t want to miss out on the action, and in 2016 they commissioned NEONRED to design a showroom for them. 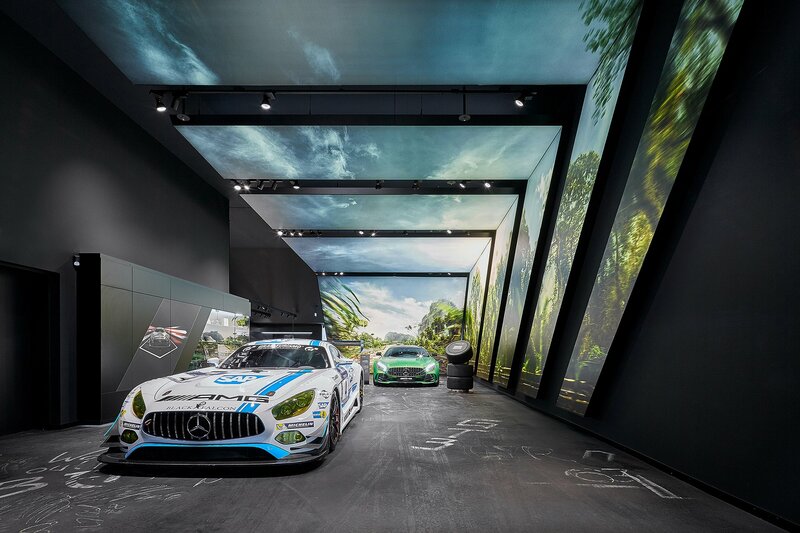 It needed to showcase the size and allure of the brand, but also present the fascination of racing on the Nürburgring as a tangible experience. 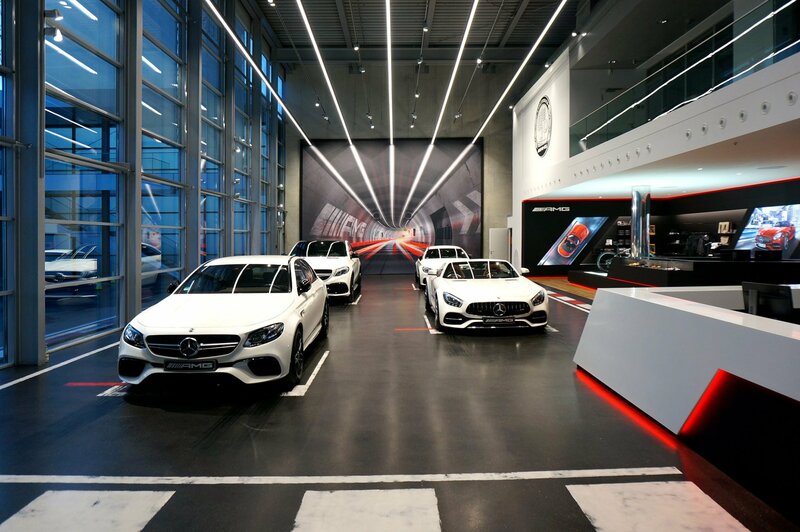 As the central eye-catcher for the showroom, NEONRED therefore designed a space-defining light object in the shape of the AMG logo. 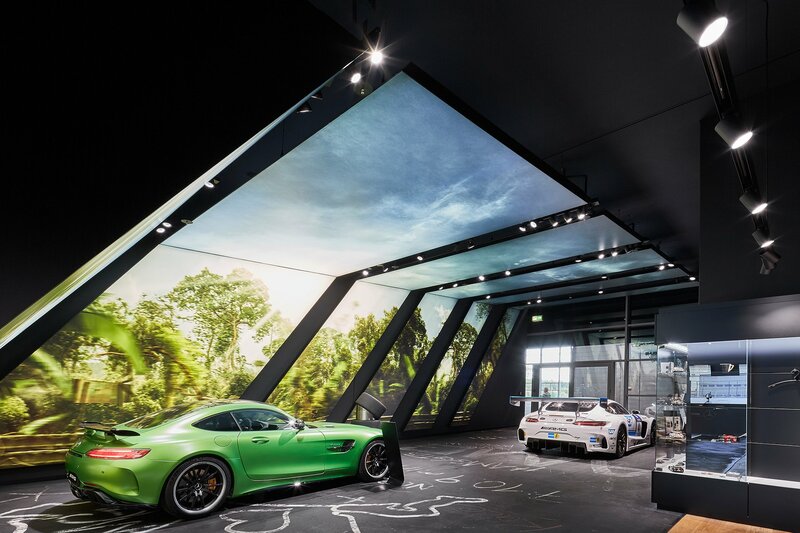 The individual room-height rhombus-shaped lights, which stretch up beyond the ceiling, were printed with a graphic – as you enter the room, they merge to form a picture that echoes the “Green Hell” campaign used at the time. 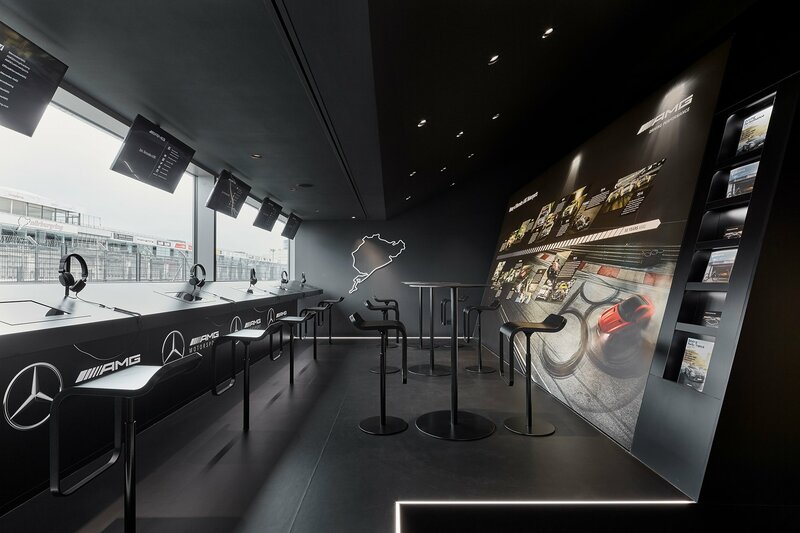 The showroom design allowed a direct view of the track. 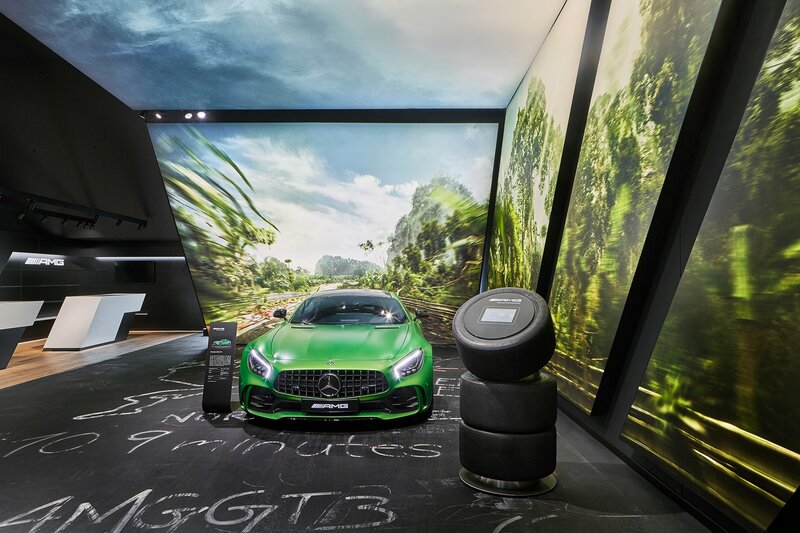 An abstracted command post which enabled a live feed of the race taking place was set up in front of it. 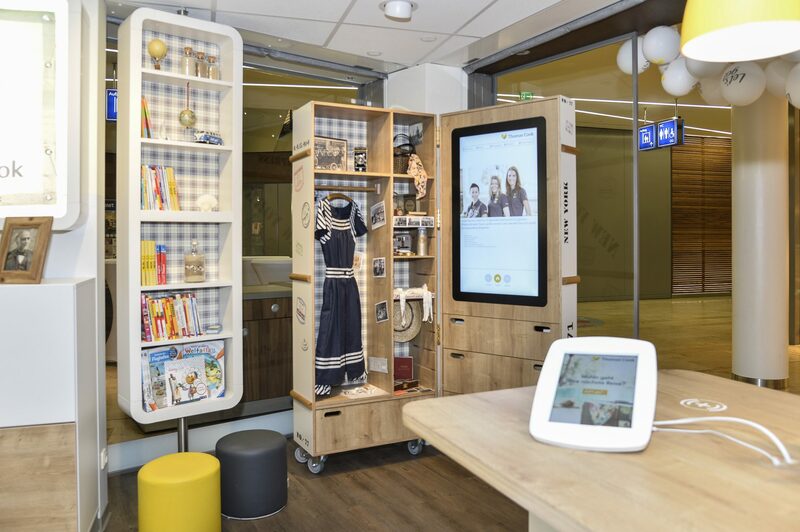 The showroom has been in operation since 2017. 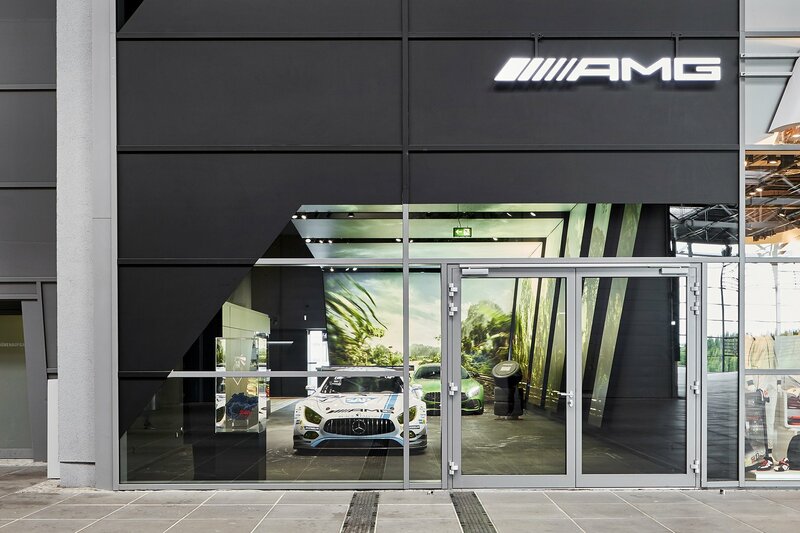 In addition to a shop selling fan merchandise, it also serves as an on-brand training location for the AMG Driving Academy.